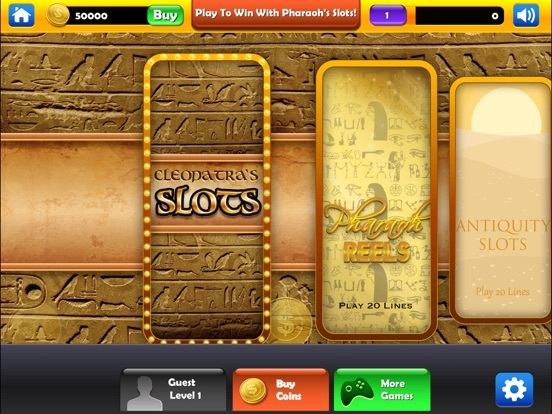 Play Slots: Ancient Treasure Casino and experience a new level of fun and winning. Start With an incredible amount of $50,000 FREE Credits and win HUGE amount of Money! This slot machine game is filled with fun and interactive BONUS like our famous Wheel of Fortune where you can win up to 4 times your winning! Get free credits every 5 minutes! Get Reward just for playing this hot and burning game. Feel the rush of winning in the palm of your hand. Beautiful graphics and entertaining sound effects will give you the real feeling of a Las Vegas Slots Machine in the comfort of your home! 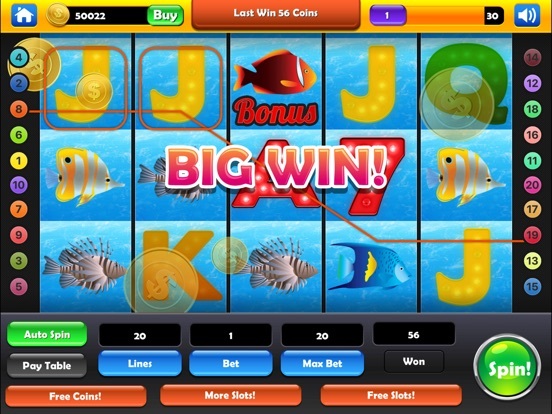 Get also the chance to win the HUGE $1,000,000 ONLINE JACKPOT on every spin! Spin the reels and get up to 10 free spins when you play. 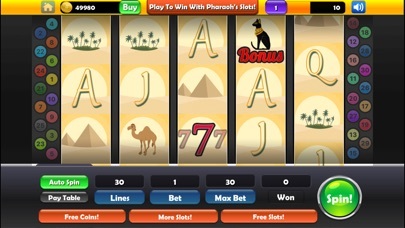 Get free spins, win the jackpot and feel the rush of Las Vegas! 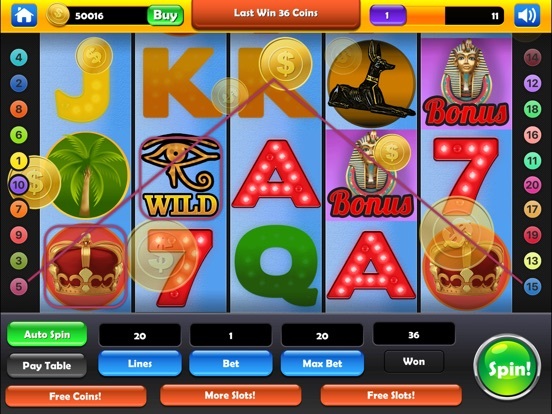 Download and enjoy all the classic feature of a real Las Vegas Casino Slot Machine such as FREE SPINS, ONLINE JACKPOT, WILD and SCATTERS symbols all this in a small download size game. 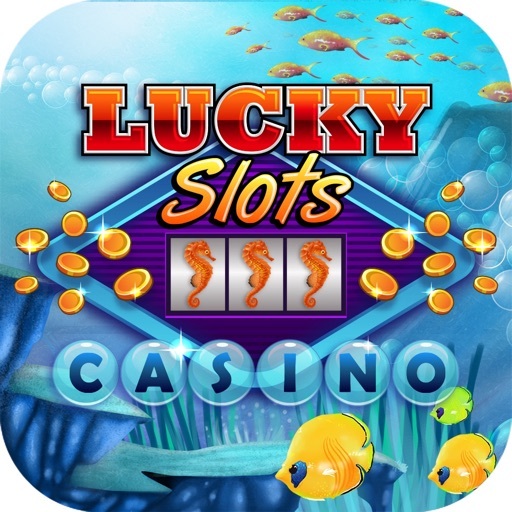 Download and enjoy this New Slots 2017 game and win big amount of Gold! 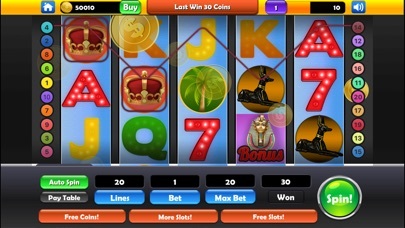 - Get a chance to win the online running Jackpot! 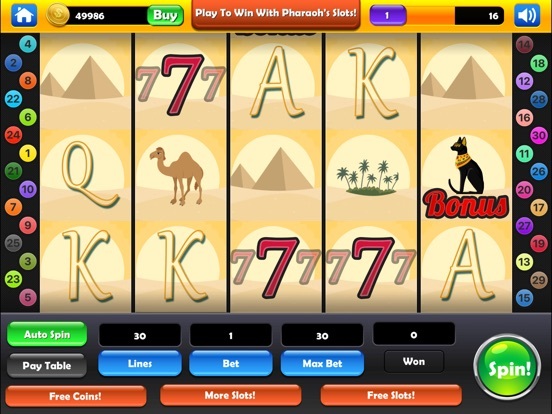 Look no further, you've finally found the best slot machine on iOS! This game is targeted for an adult audience. 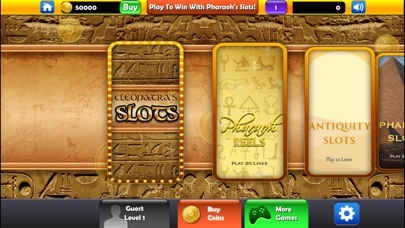 This game does not offer "real money gambling" or an opportunity to win real money or prizes.